"...In my time my poor father was diligent to teach me to shoot as to learn any other thing and so I think other men did teach their children. He taught me how to draw, how to lay my body in the bow and not to draw with the strength of my arms as other nations do, but with the strength of my body. I had bows brought to me according to my age and strength and as I increased in them so my bows were made bigger, for men will never shoot well except they be brought up in it." 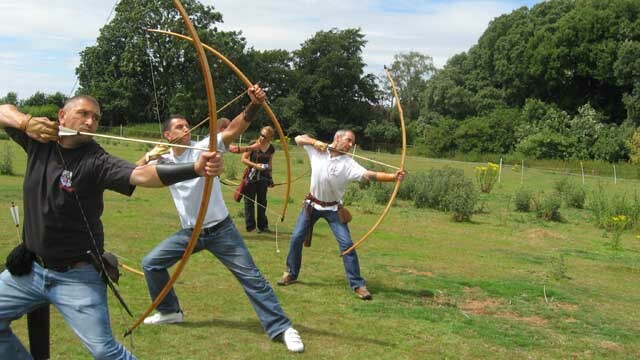 Are you interested in shooting as they did in the great heyday of the longbow? We are a small (but aimimg to get bigger!) 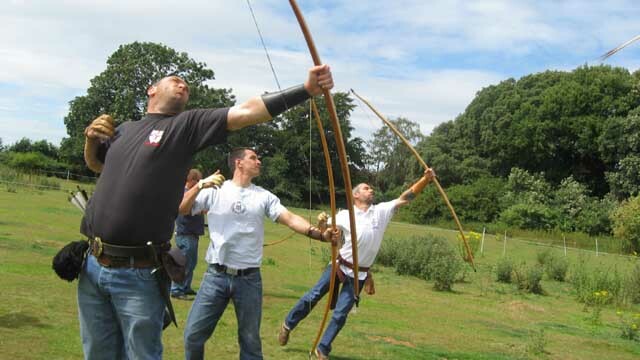 friendly group of warbow enthusiasts based in East Kent. We shoot the medieval and Tudor warbow - that is the heavy longbow, famed for its devastating effect as a weapon of war in the middle ages. Affiliated to the English Warbow Society, we regularly attend shoots put on by them where fellow enthusiasts of this fascinating discipline of longbow archery can meet. We meet at a Livery Stables near Faversham who kindly loan us the use of their land to practice the ancient discipline of roving - practicing as the longbowmen of old would practice. 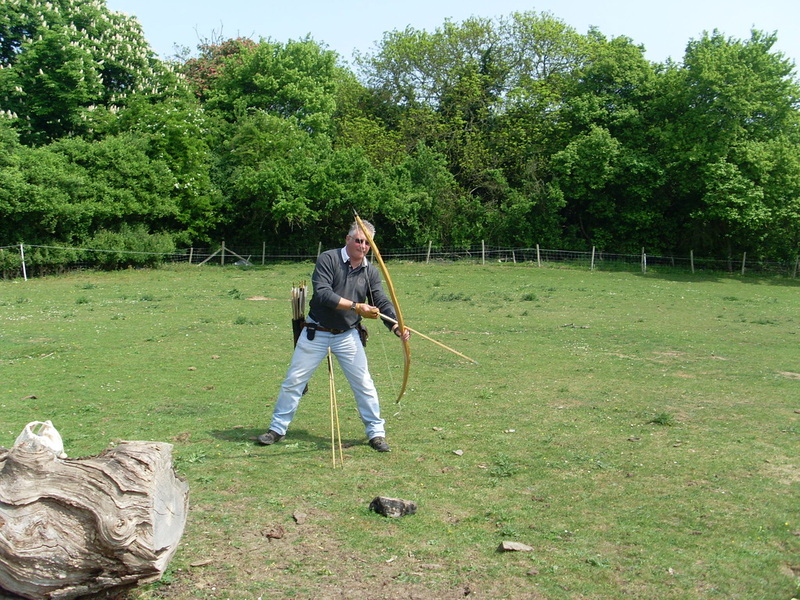 We all work hard to master heavy bows and perfect - and indeed rediscover old skills essential to the military bowman. We also have a good time as well. Mastering the heavy bow is within the capability of most reasonably fit men, but like all martial arts it takes self-discipline and dedicated practice to develop and maintain. It is also however immensely rewarding.